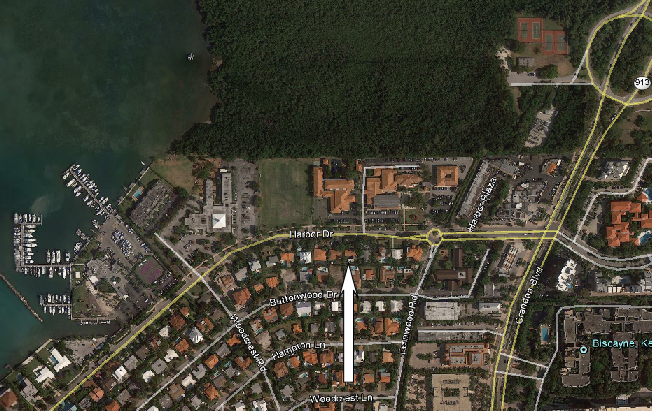 The shooter’s get away car is traced to the Nassua Hotel. 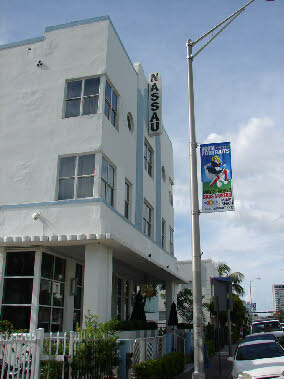 This was filmed on location at the Nassua, 1414 Collins Ave. Miami Beach. 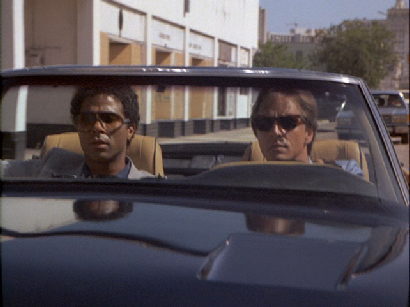 I remember watching this episode on the original air date of 10/19/1984 and seeing Tubbs make fun of the cops pulling up with their siren on. Every other police show at that time and up to that point would have the police arrive with lights and siren and think nothing of it. 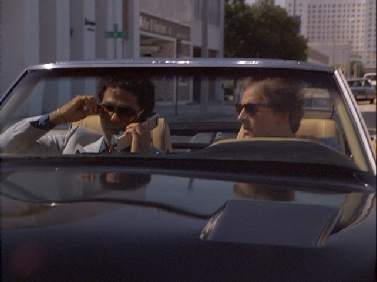 Miami Vice was new and different and was setting a new standard by pointing out how stupid this was. I knew for sure then that I was watching a show that would change television forever. 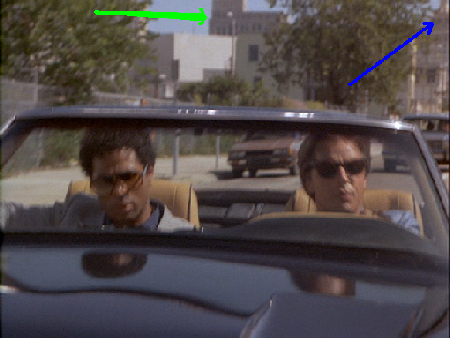 The red arrow is where the Camaro was parked at the Nassua and the blue arrow is where Tubbs starts off. 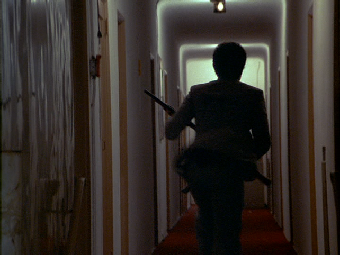 Tubbs rushes the hotel and sees the shooter running out the back. 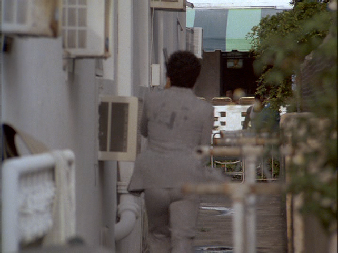 Tubbs chases him out the back and is seen running eastbound down the alley along the north side of the hotel. 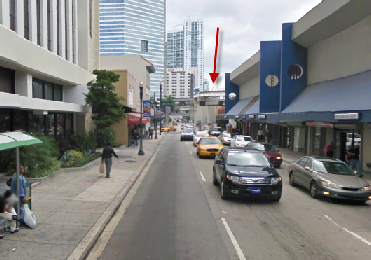 He is running back toward Collins Ave. and the front of the hotel. The President is seen in the background as he runs. 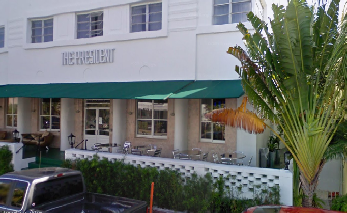 When he gets to the end he is magically now on Washington Ave. just south of Espanola Way. 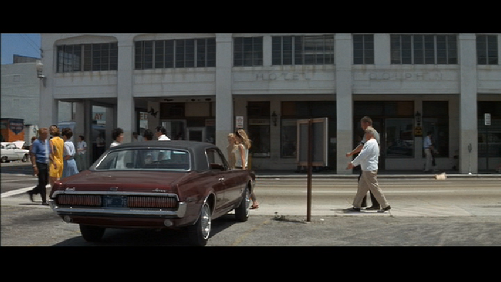 The Cameo Theater can be seen in the background at the top left of the screen. 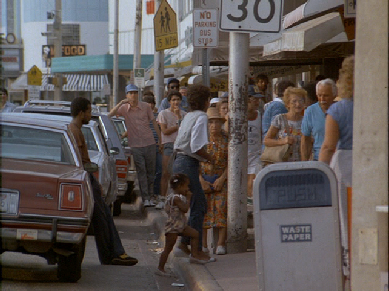 Take a look at the extras in this scene the next time you watch it. 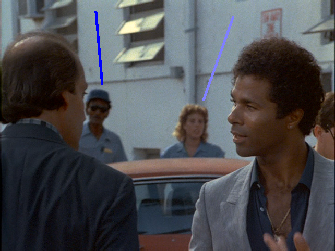 They use the same extras on Washington Ave. as they do back at the Nassua Hotel when Tubbs returns. 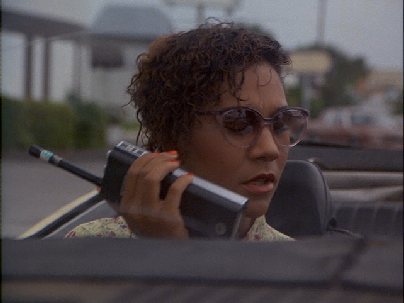 Next we see Crockett with Caroline at her home. This took me a while to find and was annoying me for a long while until with the aid of the buildings across the street I was able to find her home. Her house is different from the Pilot, Brother’s keeper where they used the same Morningside home for her and Scotty Wheeler. 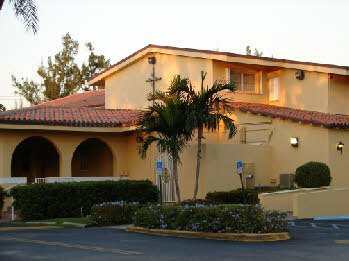 This time it was located at 119 Harbor Drive in Key Biscayne. 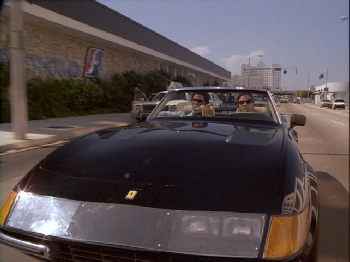 Next we go to the O.C.B. 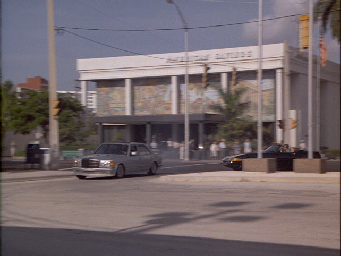 This remains the same throughout the series with the exterior at Gold Coast Shipping on SW 2nd Ave. and the interior shot at Greenwich Studios. 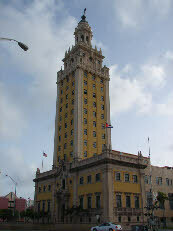 Then we see the hit-man atop the freedom tower in downtown Miami. 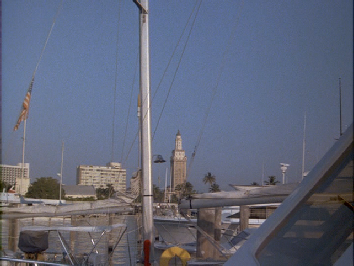 He is watching Crockett’s boat and we get some great views of the marina before Bayside was built. 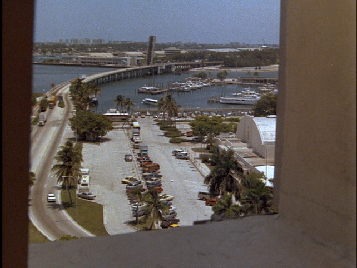 We also see the Port of Miami before the island is fully constructed and The Miami Auditorium before it is torn down. 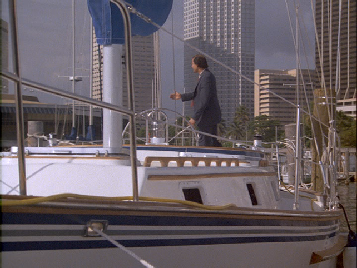 We intercut to the OCB where Tubbs realizes Calderone is involved before returning to the marina. 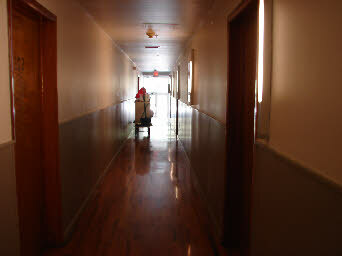 We then go to the hospital. This is reported to have been a set at Greenwich Studios. 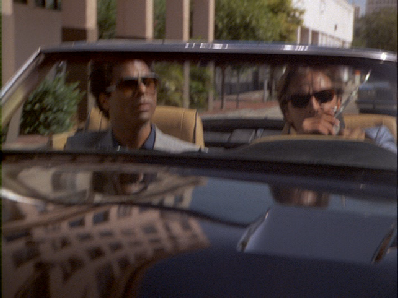 Crockett and Tubbs go on the hunt for the shooter. They do this by picking up Linus Oliver who is also on the hit list. 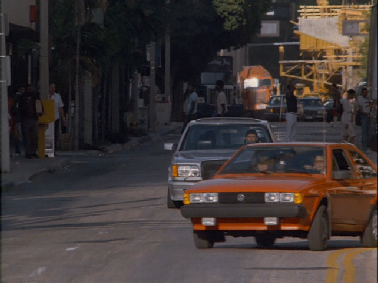 This scene starts with C+T driving southbound on NE 2nd Ave in Downtown Miami. 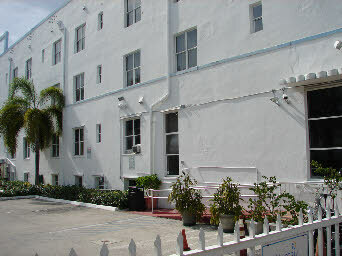 They are in the 900 block driving by what was then a Greyhound bus station and is now a night club. 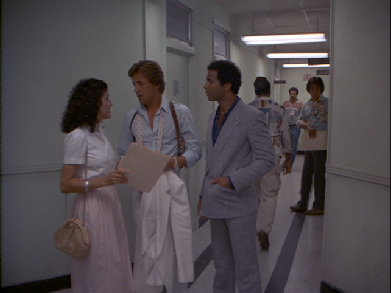 The big white building in the background is a hospital that is long gone but is a landmark that has been very helpful in finding locations in numerous old movies and t.v. shows. 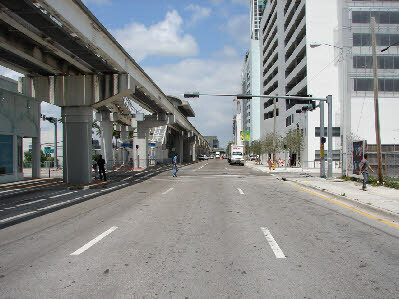 An elevated metro rail line has been installed since vice days. 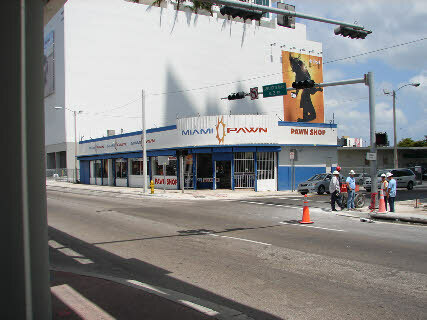 In the capture above the building in the background on the right side of the picture is now a pawn store as seen below. 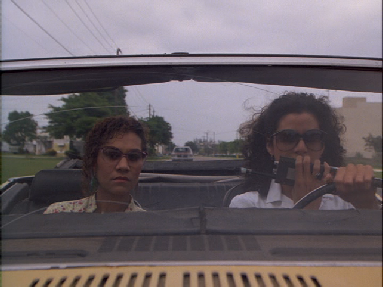 In the next cut, cut # 2 we see Gina and Trudy driving. This location eluded me for a long time which became embarrassing when I finally figured it out. They are right outside the studio driving southbound on NE 16th Avenue away from the studio. 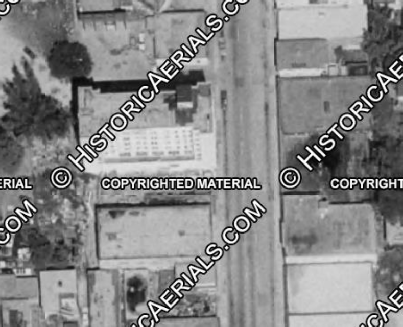 Part of Stage A can be seen in the background as well as the nearby trailer park (now gone) and Storer Communication’s parking garage(right side of street). 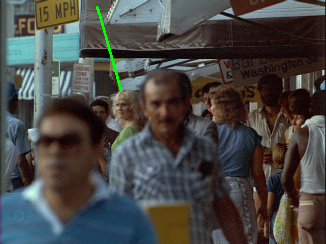 Cut 3: The camera cuts back to C+T as they continue south on NE 2nd Ave.
Cut 4: Back to G+T. 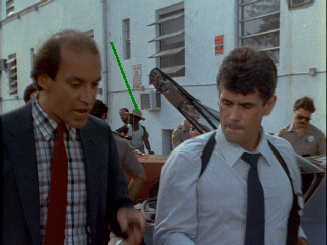 Not enough is seen of the background to determine a location but most likely along NE 16th Avenue near the studio where cut 2 was filmed. 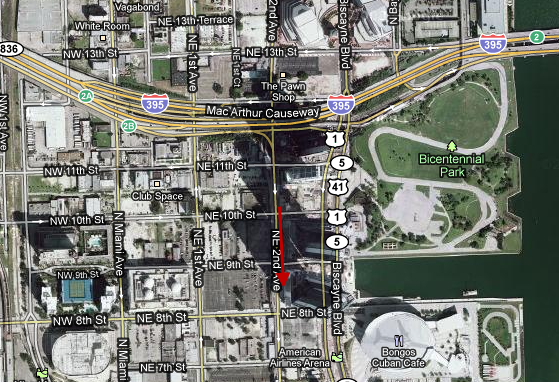 Cut 5: C+T still southbound on NE 2nd Ave. 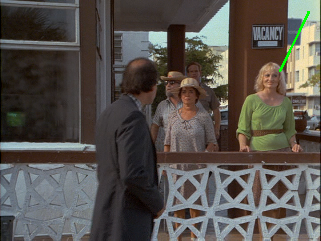 This is one of the few times where the dialog on a show matches a real location. 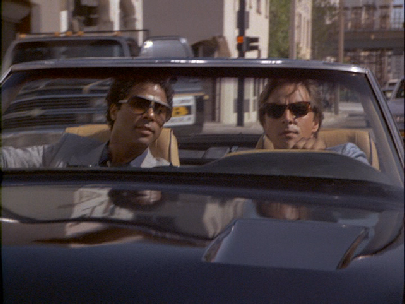 Tubbs says “were moving south on second” and they were in real life on Second Ave.
Cut 6: This took a little while to suss out. 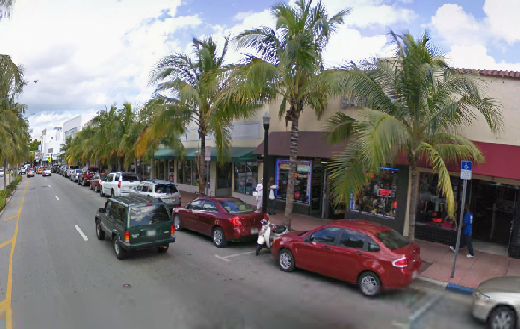 The camera was located on NE 1st Ave. north of East Flagler Street. 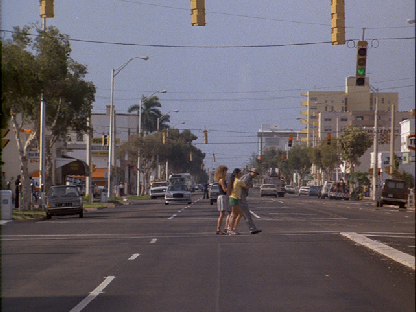 We see cross traffic go by on both SE 1st Street and SE 2nd Street. 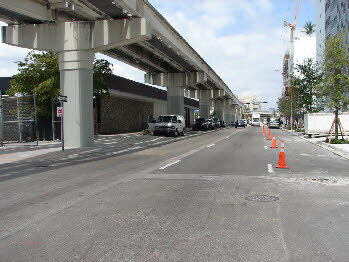 The Bank Of America tower is seen in the far background and the construction we see is new metro rail towers being built along SE 1st Ave. between SE 1st Street and SW 2nd Streets. 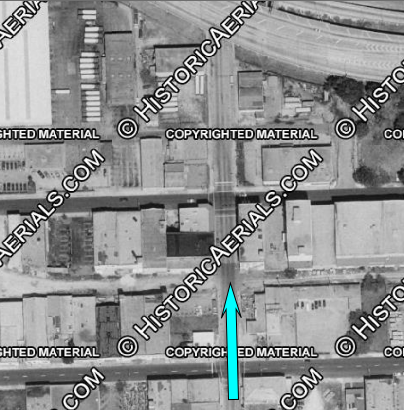 Below: the red arrow points to where the camera was located. 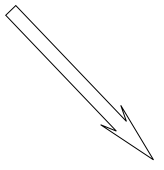 The blue arrow is the direction it was filming. 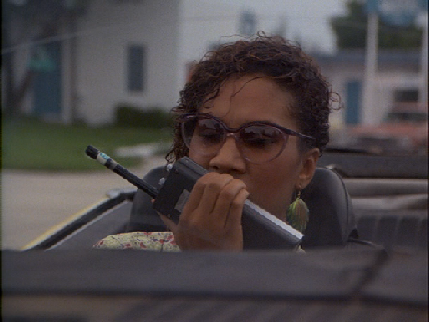 Cut 7: is a close up of the radio. Cut 8: C+T are driving northbound on NE 1st Ave. At the end of this cut they go by a cross street and the street sign reads NE 9 Street. 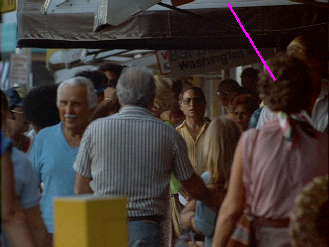 In the background we see two large buildings that are still there today. 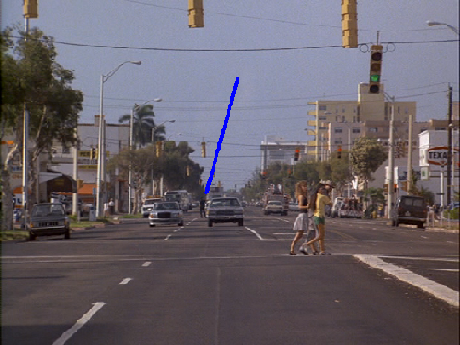 In the capture below the blue line points to the tower at 117 NE 1st Ave. and the green arrow points to the Alfred DuPont Building (originally the Florida National Bank and Trust Company) located at 30 NE 2nd Ave.
Cut 9: Trudy and Gina are following Linus. 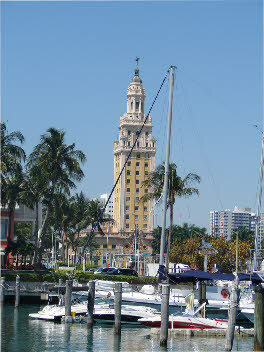 They pass a distinctive building but I have not yet found it. 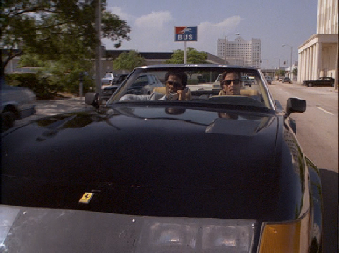 Looks like they are in Miami Beach not Miami. Location unknown. 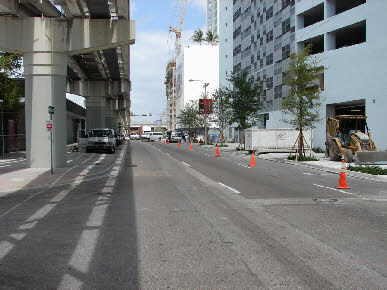 Cut 10: C+T continue north on NE 1st Ave between 9th and 10th streets. 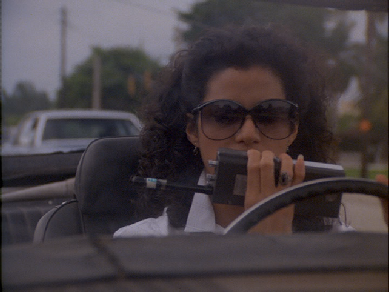 Cut 11: Gina +Trudy continue driving at an unknown location. Same location as cut 9. 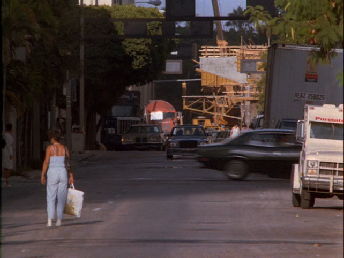 Cut 12: C+T are now approaching NE 10 Street on NE 1st Ave. and they are driving thru Tony Rome territory now. 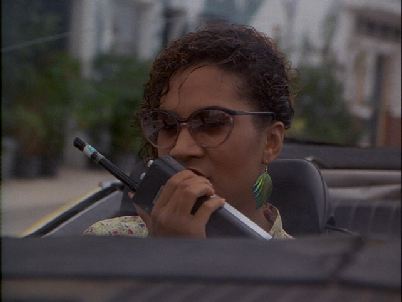 Cut 13: Gina and Trudy continue in an unknown location. 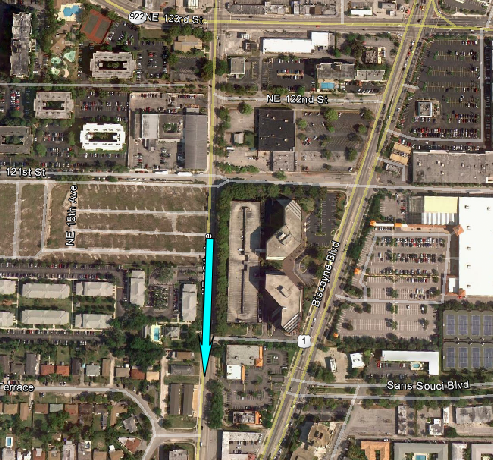 Cut 14: C+T continue driving north having just crossed NE 10 Street. In the background we see the Hotel Dolphin. 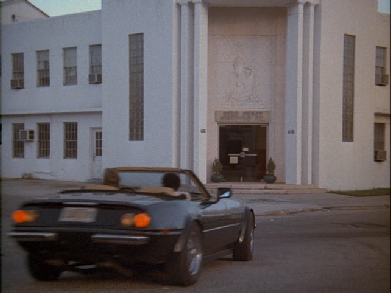 In the Frank Sinatra movie Tony Rome, this building was where Tony’s office was located. 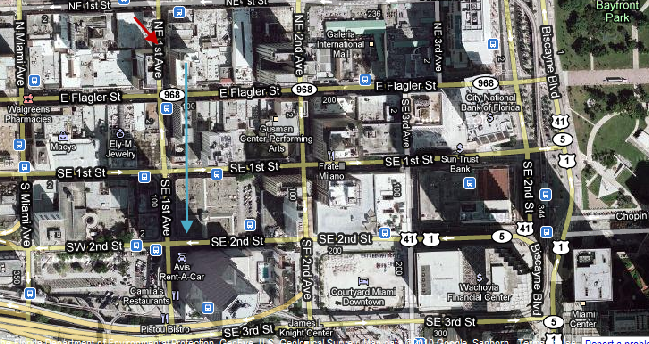 Cut 15: Linus continues northbound on NE 1st Ave. near NE 2nd Street. 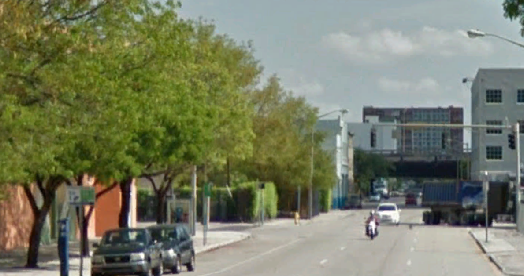 Cut 16: C+T are driving on a wide one-way street with railroad tracks crossing and an elevated highway overpass in the background. 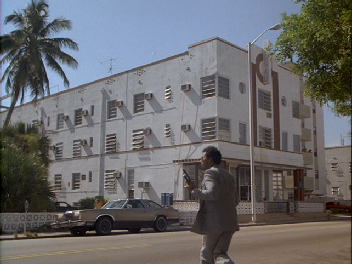 I am 99% sure that this was filmed on N. Miami Avenue viewing north with a strong zoom from about 8th Street. 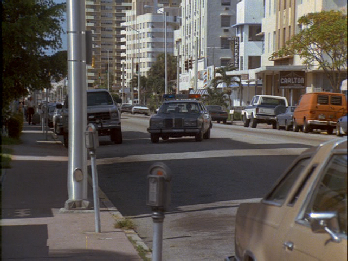 Cut 17: Linus is northbound on Alton Road, Miami Beach approaching Lincoln Road. 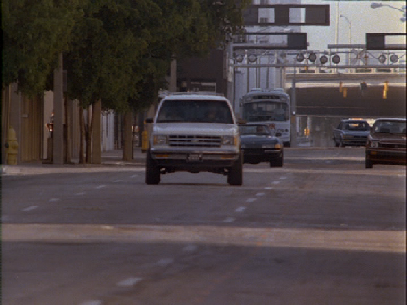 Cut 18: C+T are driving with a segment of the metrorail being constructed in the background. 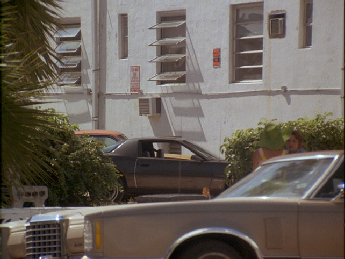 Thanks to airtommy at miamiviceonline.com we now know that this was filmed on location on NE 1st Avenue just north of NE 6th Street. Sadly the buildings they drive by are long gone for reasons that escape me as the sites are still vacant lots. 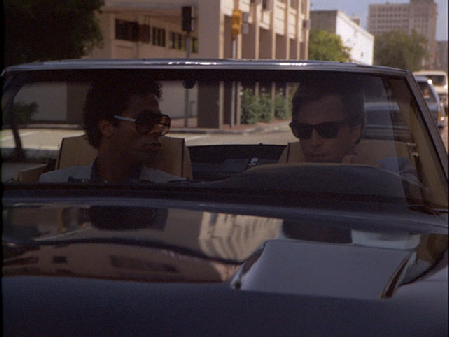 Cut 19: Linus still on Alton Road and Tubbs spots them. 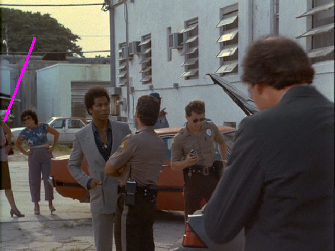 I watched this episode numerous times before I noticed the real police officer directing traffic on Alton Road. After Linus and the car next to it pass, the police officer stops all the other northbound traffic in this cut and in cuts 17 + 21 so they don’t interfere with the filming and allow space for C+T to turn. White building seen in far background, left, past overpass. 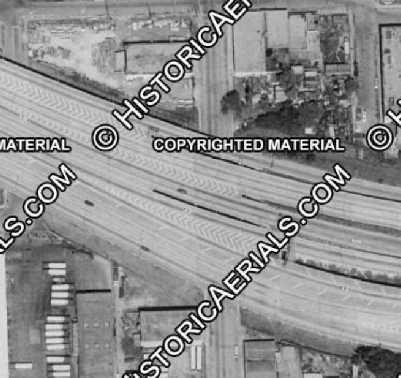 The pattern of light filtering down thru the overpass matches the 395 overpass over North Miami Ave.
Long gone now, but there was a short railroad spur running to the bay between 10th and 11th Streets which is why we see the RR crossing signs.